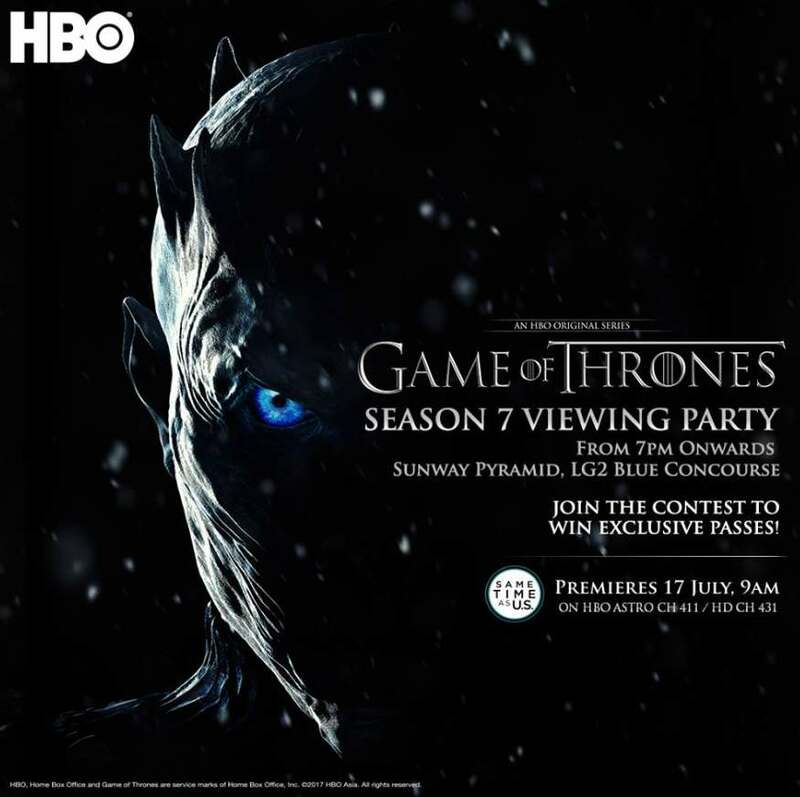 Want to join us for Game of Thrones Season 7 Viewing Party on 17th July? We’ve got 10 pairs of passes to giveaway! 2. Find the code word displayed on any of the six GOT standees at Sunway Pyramid LG2. 4. Plus, tell us why you deserve to attend this viewing party in less than 50 words. *Contest ends 13 July, 12pm. Find out more at Sunway Pyramid.